When you think about working with a consultant to cut costs, what do you picture? You may be imagining all the ways it will add to your (or your team’s) to do list. It may sound like a huge undertaking, and an expensive one at that. Or perhaps, it sounds redundant, as your internal team has already worked hard to cut operating costs. Don’t worry, we’re not offended at the negative mental image. Honestly, we completely understand. But the good news is, it’s much easier and far less risk than you might imagine. Let’s dispel the top 6 myths about working with cost reduction specialists. Fact: Our services don’t cost you anything out of pocket. In fact, we help you keep more money. We’re paid a percentage of the savings we produce – and only after we’ve produced them. This means we’re never taking anything additional out of your pockets. Fact: We do all the heavy lifting ourselves. You point us in the right direction, and we’ll do all of the work, such as pulling invoices or requesting vendor data. We believe in maximizing your savings, which starts by saving you time. Myth 3: Working with you won’t be worth our time. Fact: We expect clients to save new clients a combined $2M this year. Our efforts can have an immediate impact directly to your bottom line. With the right partner, cost reduction can have incredible ROI. Just look at this valuation scenario to see just how much you can improve your margins with minimal time and money. Myth 4: We don’t need to hire someone for what we already do. Fact: We don’t doubt that you’ve worked hard to reduce your expenses. However, it always pays to have a second set of eyes on your invoices. With in-depth market knowledge, industry experience and an extensive national cost database, our team brings creative solutions that save you money. “We found their vast range across multiple industries brought some fresh ideas to the process.” – Gene G, Property Manager. View Related Case Study: Silverback cost savings program realizes $300,000 in refunds and a greater profit margin. 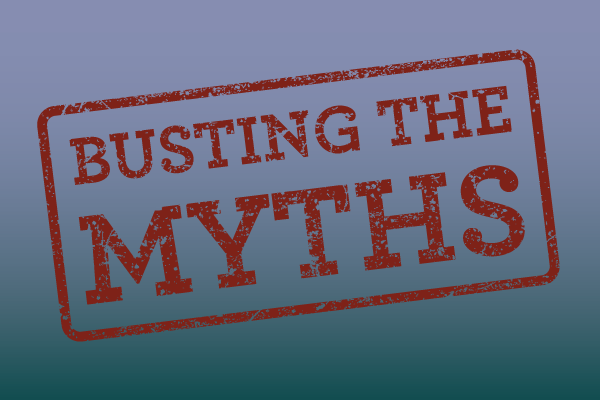 Myth 5: Bringing in outside consultants is just going to rock the boat. Fact: We know that money can be a sensitive topic. Our team only looks at non-labor areas, and we are confident we can save your organization money in any expense category you would like us to review. We also understand that your vendor relationships are important, and often find ways to save you money without requiring a change in vendor. Myth 6: This project is too big a risk to take on. Fact: There’s no risk to working with us. If you don’t like our ideas, or our team can’t save you money – there’s no cost. Period. Curious about what it’s really like to work with Silverback? Check out the kind words from the CFO of our valued client Fairbanks Hospital.